OSR: What Time Is The Apocalypse? I'm trying to get back into the habit of writing. It's like exercise. Stop for a bit and all the muscles go flabby. If this post is below my usual standards, think of it as the first jog after the Holiday gorge. I've been struggling to define when my pre-apocalyptic setting is set. "Medieval", especially "medieval fantasy" seems to cover everything from Constantine to Cromwell. Joan of Arc, Robin Hood, and Richard the Lionheart all happened at approximately the same time; before muskets, potatoes, the printing press, and ruffled collars, but after togas, orgies, and chariot racing. Well, this is Restoration-Georgian-Regency-Victorian fantasy. It starts with liberalism and social change and ends with the first World War, but it's more focused on the middle bit than the transitions at either end. Charles Dickens could meet Sherlock Holmes at a coffee shop to discuss the new "going-up-and-down-a-bit-and-then-moving-along Gertrude" cloth-weaving machine, and then leap out of the way of a coal-powered Omnibus full of soldiers newly returned from some poorly thought-out foreign adventure. As Blackadder Series 1 is to Medieval, so Blackadder Series 3 is to this setting. It's Discworld's Ankh-Morpork but with a bit less furious optimism. Is London. That should be obvious. Not the real, historical London but the London of a thousand movies and TV series and novels and half-remembered anecdotes. If your group is intimately familiar with London, then it's Hong Kong. If your group is intimately familiar with both London and Hong Kong then it's New York. If your group is intimately familiar with London, Hong Kong, and New York, then what the hell are you doing playing RPGs? Clearly you've got a lot more interesting things to do with your time. Maybe you should be the ones writing a book, did you ever think of that? No? Well too bad, it's your job now. Endon is an outlier. It's a few decades or centuries ahead of the curve. This isn't necessarily good thing. Endon's rise is like a firework; lots of glitter and sparks, but fundamentally unstable. For a time it's on the cutting edge of creation, but the book is about a pre-apocalyptic setting. Something's going to give. It doesn't have to make sense forever because it's not going to last forever; it's a violently unstable brew. -meet the most elegant, refined, beautiful, seductive, poetic, etc, etc, people. If you have a problem, if no other generic medieval fantasy city can help, if you can find it, maybe you can reach Endon. Just make sure to look both ways before crossing the street. Send your players there to solve some unrelated problem and see what they do. Drop rumours of Endon into generic medieval villages; a city lit by a thousand ever-burning lamps, a city where actresses dance with princes and even the poor eat steak. If magic is unrestrained in the campaign, D&D quickly degenerates into a weird wizard show where players get bored quickly, or the referee is forced to change the game into a new framework which will accommodate what he has created by way of player-characters. The goal is to make Endon a "weird wizard show" where the players won't have time to get bored because the world is falling apart around their ears, or because they're too busy making money/gaining political power to care. It's a new, temporary, bolt-on framework. This one's a freebie, unrelated to the rest of this post. You can have it. Go nuts. I've always wanted to run a Victorian Stargate game. Maybe not based on the actual Stargate TV show but something similar. Victorian dimension hopping. Taking all the most fertile aspects of the UK (as seen on TV only) and parodying them to hell and gone. The crossover to end all crossovers. 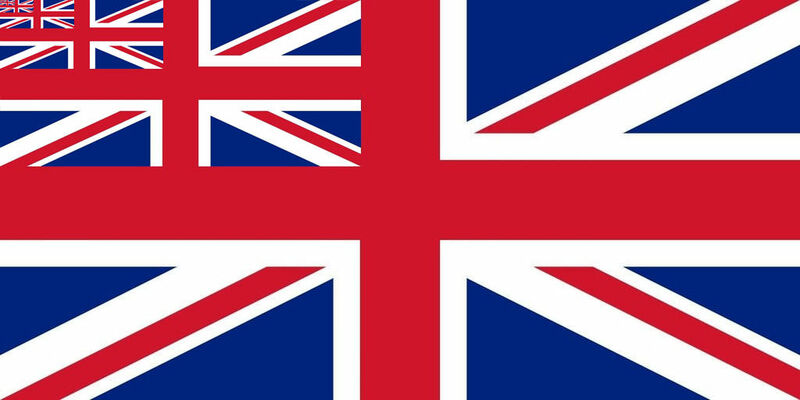 Let the flag of Infinitely Great Britain fly over every world. 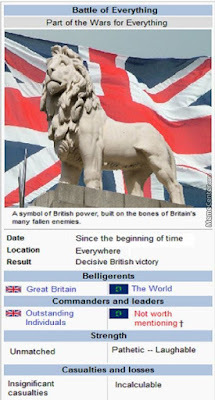 Rule Britannia, Britannia rules the planes. Gee, it's been a while. It's hard to type when your fingers are covered in superglue and your keyboard is covered in tiny plastic shavings. Don't worry, I'll be back soon enough. The augmented warriors of the Adeptus Mechanicus look down upon their enemies and/or try to count the number of visible skulls on nearby buildings. The Perfidious Eldar fight the Even More Perfidious Eldar. The full terrain collection at the moment. The 1'x1' modular board segments very useful. Kill Team (2018) is, essentially, a randomness-minimization game. You want to take as many good chances as possible and make your opponent take as many risky chances as possible. It's like chess.... except that a captured piece has a 50% chance to not be captured and you need to roll to see how many squares a Bishop, Knights, or Queen can move in a turn. And sometimes someone booby-traps your Rooks. It's fun but it's not terribly deep. Some people on G+ were rumbling about using it as an RPG. I don't think it really works. Random chance is such a large component of the game that it's next to impossible to generate a narrative. The design space also feels very cramped. Everything is high-powered, slick, and superficial. So while a Kill Team game is a fun way to burn an hour, I'd like to try to find a more interesting rules set. The rules used by the Inquisimunda/Pilgrym bloggers seem to very appealing rules set, given that it produces games like this. The rules are GLOG-like, in a way; cobbled together, highly adaptable, not really a system so much as a series of hints and hand gestures. I haven't playtested this combo but I intend to give it a try. I'm tempted to try out X-wing style alternative activations and see how badly it messes with the rules. E.g. In the Movement phase, all models move in order of Initiative, lowest to highest, passing between players in the event of a tie. In the Shooting phase, all models shoot in order of Initiative, highest to lowest. So models with high initiative have a decent advantage; they get to react to other models' moves and get the first shots off. This should make the game feel a little more tactical and limit the dreadful waiting-around time that infests Gamesworkshop products, but it'll probably play merry hell with Overwatch and all that. We'll see. I'd like to build a team with a Space Marine at its core. How much would a single Astartes cost? Just one Astartes (properly kitted out) eats most of my points. The rest of the team might be chapter serfs, servo-skulls, recruited guardsmen, Alpha Legion cultists, etc. Compare this to Kill Team, where a single team might have 5 fairly unimpressive Deathwatch marines, each with a single wound and a less-than-spectacular impact. A Space Marine should feel like an ancient unstoppable god-warrior wearing a personal tank. Whale oil was once a luxury in Endon. The only thing preventing widespread adoption was supply; there was no real whaling industry. All that changed when Bartelby Spuggs began polymorphing pigeons into whales. 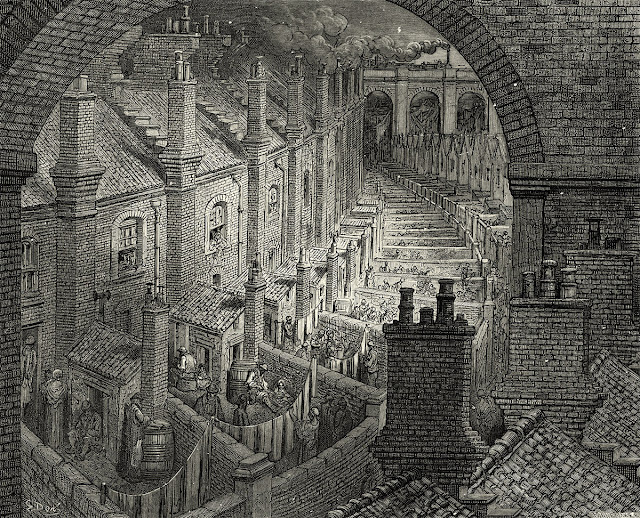 In a gore-soaked field downwind of the city, Bartelby and his apprentices run a roaring whale-oil factory, boiling and rendering thousands of pounds of blubber into pure clean-burning for lamps, soaps, and cosmetics. Hardly anyone gave the whale-oil works a second thought until the deaths began. Neighbors reported a horrible shrieking howl and found a room soaked in gore. Urchins saw a huge phosphorescent shape glide through the fog. Something huge and horrible stalks the streets of Endon, seemingly killing at random. Pigeons are not very bright. Their feeble little souls rarely survive being polymorphed into whales. But once, by accident, one of Bartelby assistants polymorphed a stray dog. Dogs, as any professional wizard knows, have the greatest soul-to-mass ratio of any mammal. No sensible wizard would credit them as distant evolutionary relatives to whales, but it's true. Being a whale was, for the dog, a deeply confusing experience, so after death the dog-whale stuck around to see what the fuss was about. 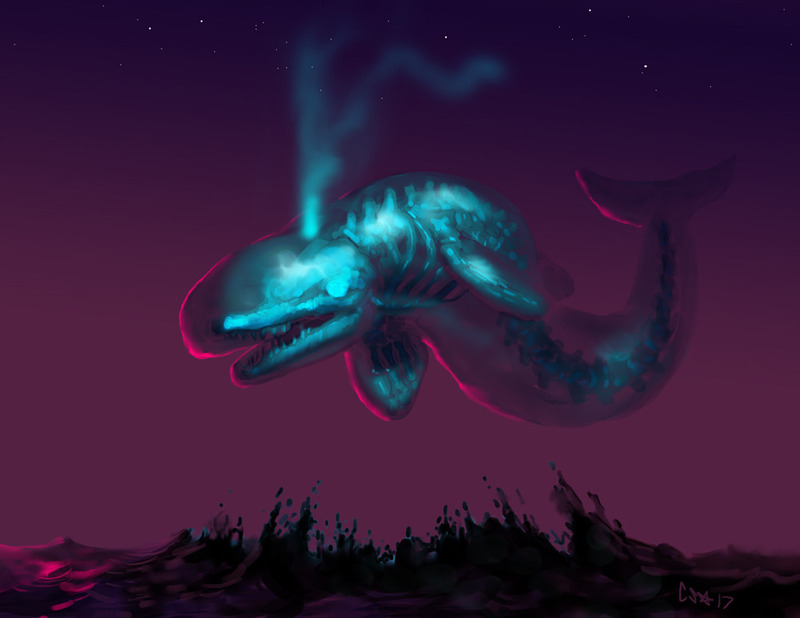 Endon is haunted by a cetacean ghost. It glides through the streets on foggy nights, a translucent outline paddling through clouds, buildings, and cobbled streets. It is a lonely whale. Sometimes, it howls. Wants: friends, belly rubs, krill. Armor: none. Requires magic weapons to hit. All the usual ghost immunities (charm, sleep, cold, electricity, etc.). Damage: 1d8 life-draining bite, whale howl (see below). The ghost whale's howl affects anything in a 50' cone in front of it. It starts as a low rumbling, then rises to a painful, oppressive shriek that bursts blood vessels, cracks skulls, and pulps eyeballs. It takes two rounds to reach full power. In the first round, anyone in the area of effect can try to flee the area. If they remain inside, they take 1 damage. In the second round, anyone in the area must Save or die. Typically the ghost whale only howls once a night. The ghost whale is also a dog. It wasn't a particularly good dog in life but it wasn't vicious or spiteful either. It wants to chase carriages, sniff garbage, and fall asleep in front of the fire; all things made difficult by its spectral existence. It might be possible to tame it. Treasure: 1d10lbs of ambergris ectoplasm (ghost whale barf). Like half-real solidified glowing air. Worth 1,000gp per lb to any wizard or perfumer in Endon. One of the few scents ghosts find pleasant. Yes, it's just a reskinned Banshee. Utter nonsense. Ever seen a fire? Reduces heavy wood to light ash. Burns oil and spirits into nothingness. Or consider ice. Allow a sealed container full of ice to melt and less water than ice will be found inside. No, I'm afraid mass is not conserved. It comes and it goes as it pleases.